The content type text/html; charset=utf-8 of the response message does not match the content type of the binding (application/soap+msbin1). 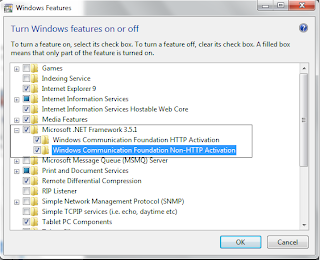 Expand the node "Microsoft .NET Framework 3.5.1" and check all the options. 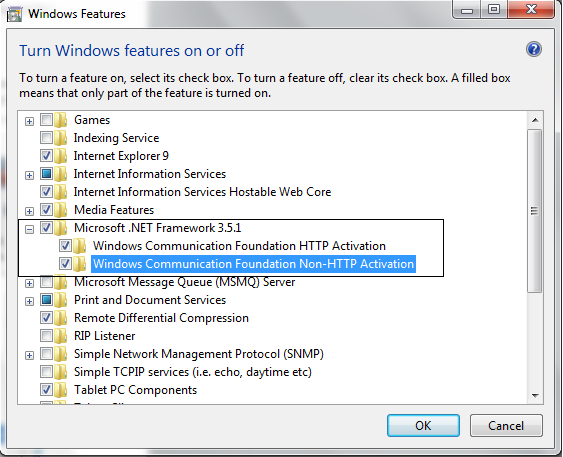 Click OK and check your Service Application again.